We Believe in Community Service | JJ Transport Inc.
We believe in Community Service…We love to give where we live! That isn’t just a slick slogan. It is how we have endeavored to run our business ever since we got our start in 2009. We saw the talents of 3 distinct individuals and knew that if we formed a partnership together good things would happen. We realized back then that the “whole” would be greater than the sum of its parts. Community Service and Social Justice has always been something that has been near and dear to our hearts at JJ Transport. 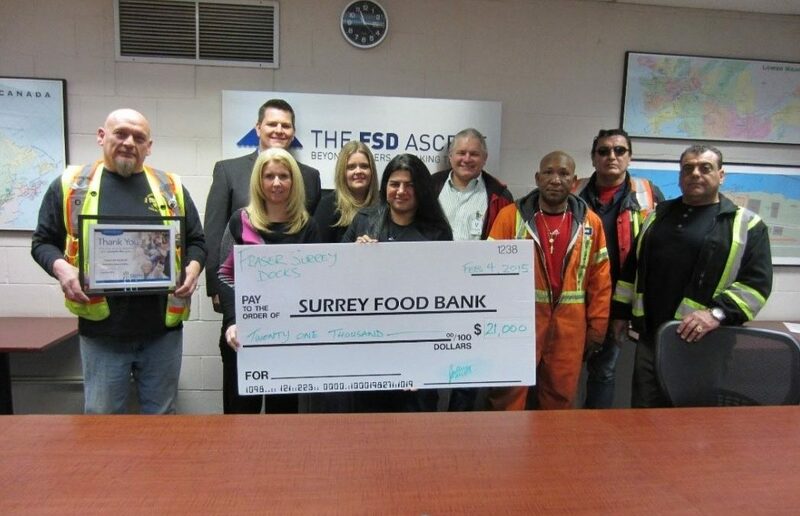 To that end we have been regular supporters of Surrey Food Bank initiatives in partnership with Fraser Surrey Docks. We encourage you to lend your support to the Surrey Food Bank and watch for upcoming events where you can have an impact on our great City. As the year moves on we will be throwing our support behind a number of causes that we believe in as a team. We are hopeful that we can make a difference in our city and across the nation as we move forward with this blog and make our foray into the online world of social media and beyond! Stay tuned for our next blog where we will feature a local story on social justice!